Ok, I need some words! what is that!?! 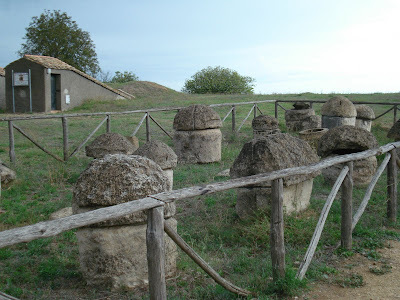 They are ancient burial crypts from an area in Tarquinia, Italy. Look like cement mushrooms, don't they? I was just going to ask what those were too...weird!